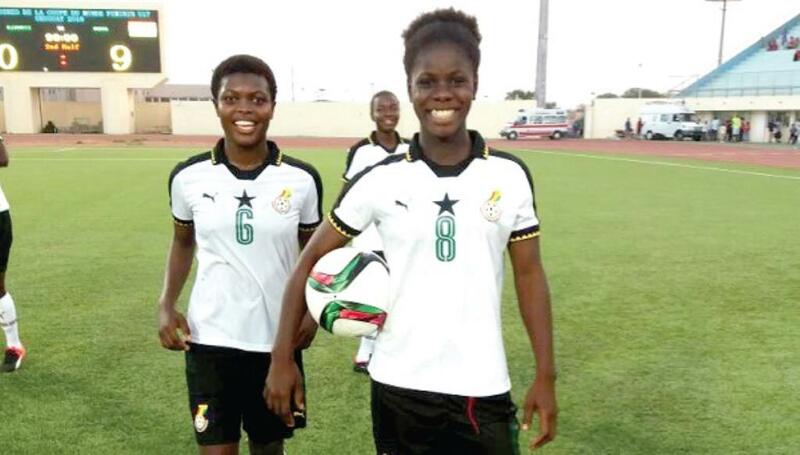 Captain of the Black Maidens of Ghana, Mukarama Abdulai says they are ready for the 2018 FIFA U-17 Women's World Cup after the team ended its training tour in São Paulo, Brazil. The Black Maidens have been camping in Brazil since October 31 where they intensified preparations for the World Cup which will be staged in Uruguay from November 13- December 1. Mukarama who was top scorer doing the qualifying stage of the competition, says the training tour has toughened the team. “We were so happy to be given the opportunity to train in Brazil. We have learnt many things here that will help us at the World Cup”. “We are now used to the food and the weather in South America and I can now say that we are ready for the World Cup. The prolific striker who scored 11 goals during the qualifying stages added that her personal target is to win the top scorer award at the World Cup and help Ghana win the ultimate. “I know I will meet tough defenders at the competitions but am ready and I’ve psyched myself for that”. “My aim is to win the top scorer award and help the team to work towards winning the trophy during the competition”, the Northern Ladies striker said. The Black Maidens played two training matches in São Paulo, winning 4-0 against America FC and a 1-2 defeat to the Young Lionness of Cameroon who will also be at the World Cup. But the team is ready to put the defeat to Cameroon behind them and learn from the mistakes they made in that training game. “We were disappointed with the defeat to Cameroon because that was our last training match here in Brazil so expected a win but we have leant a lot from it. The most important thing is the World Cup so the training match will not let us down. We have taken note of the mistakes we made and have practiced how to correct such mistakes during the World Cup”, she insisted. Ghana will play Uruguay in the Group A opening match on Tuesday November 13 in Montevideo before playing Finland and New Zealand in subsequent group matches.